TOKYO (Kyodo) — Chugoku Electric Power Co. on Friday applied to the government for safety screening of a nuclear reactor it is constructing, opening up the possibility of it becoming Japan’s first newly built reactor to go into operation since the 2011 Fukushima crisis. Work on the No. 3 unit at the Shimane plant in Matsue, Shimane Prefecture, is almost complete and safety checks by nuclear regulators may proceed faster than for another reactor in northeastern Japan that is also under construction. The No. 3 reactor will have a maximum output of 1,373 megawatts, making it one of the largest in the country. It is a boiling water reactor, the same type as those at Tokyo Electric Power Company Holdings Inc.’s disaster-hit Fukushima Daiichi nuclear power plant. Chugoku Electric was initially aiming to activate the reactor in December 2011 after starting construction in 2006. But the plan was postponed following the Fukushima nuclear crisis, triggered by a massive quake and tsunami disaster that hit northeastern Japan. The crisis led to the introduction of more stringent safety standards for nuclear power plants. Around 10 reactors have resumed operation in Japan after clearing the safety hurdles, but there has been no case in which new reactors have been activated after the disaster. “With existing nuclear reactors currently restarting, we thought it is possible to file for checks of the No. 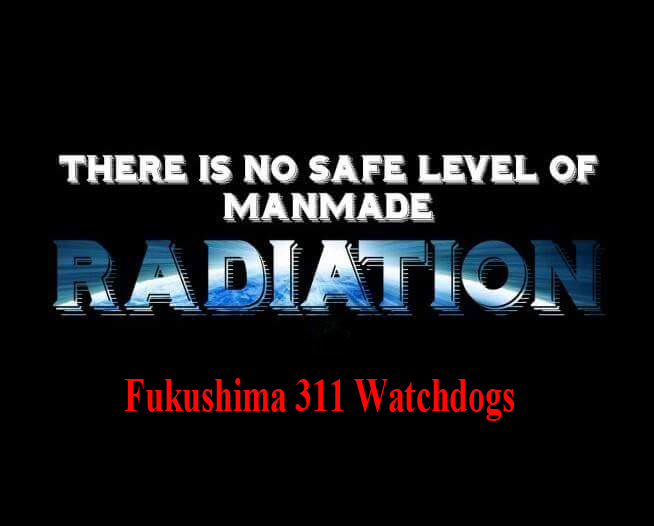 3 unit (even though it is a new reactor),” Tatsuo Kitano, managing executive officer of the utility based in Hiroshima Prefecture, told reporters. The latest development came a day after Shimane Gov. Zembee Mizoguchi officially gave the green light for Chugoku Electric’s application for government screening. But prospects remain unclear on when the reactor will be put into service as the utility will not just have to clear the safety tests but also again seek local consent for operation. Chugoku Electric is spending around 500 billion yen ($4.5 billion) on safety measures for the No. 3 reactor, aiming to finish the work by September 2019. The other new reactor that is seeking to start operation is being built at Electricity Power Development Co.’s Oma nuclear power plant in Aomori Prefecture. The company known as J-Power applied for government safety checks in 2014, but the process has been drawn out. The Oma reactor is expected to become the world’s first commercial reactor to run fully on plutonium-uranium mixed oxide fuel. On May 31, the Tokyo Electric Power Co. (TEPCO) released a progress report on the decommissioning at the Fukushima Daiichi Nuclear Power Plants. Four days earlier, on May 27, the power company began transferring some of the spent fuel currently stored in a common pool to a temporary facility at the site, for storage in dry casks, to create enough space in the pool to store spent fuel taken from the Unit 3 spent fuel pool when that is eventually removed. At the temporary storage facility, TEPCO will pack the spent fuel in dry casks providing shielding and heat removal (with natural air circulation outside the casks) and store it under stable conditions. By August, 483 spent fuel assemblies from the common pool will have been transferred to the facility using seven transport and storage casks, in anticipation of the arrival of 566 fuel assemblies (including unused 52 assemblies) from Unit 3. On May 11, a problem was found at Unit 3—where a fuel handling machine has been in trial operation since March—inside a control panel for a crane used for moving fuel transportation containers to the ground. TEPCO nevertheless aims to begin removing fuel from the spent fuel pool around mid-FY18, as initially planned. TEPCO will determine a method for removing fuel debris from the first unit by FY19 (April 2019 to March 2020), and the status of that effort was also included in the status report on May 31. The approach is to proceed after heightened understanding is made of internal conditions, the nature of the debris, and the effects when removed. As that has not yet been fully completed, though, the effort will proceed gradually and incrementally, as follows: first investigating the interiors of the primary containment vessels (PCVs) through sampling, then carrying out small-scale removal of debris, followed by large-scale removal. As for small-scale fuel removal, one promising method seems to be using a “X-6 penetration” rail to access the interiors of the PCVs (found in all the units) from the side, in order to exchange the control rod drive mechanism (CRDM). That method is already being used for inserting investigation devices into PCVs. Workers at the crippled Fukushima Daiichi nuclear power plant have finished installing a new roof covering for the No.3 reactor building. The work started last August to set up a dome-shaped cover. It is part of preparations for removing nuclear fuel from the reactor’s storage pool. A total of 566 spent and unused fuel units remain in the storage pool of the No. 3 reactor. The cover will prevent radioactive materials from spreading, and shield the building from winds. Reactors at the Fukushima plant suffered meltdowns after a quake-triggered tsunami hit the plant on March 11th, 2011. The fuel units left in storage pools need to be removed as part of decommission work at the plant. The plant’s operator, Tokyo Electric Power Company, will clear the pool of rubble and provide workers with training on remotely handling devices for the fuel removal. Then, it plans to start removing nuclear fuel units from the No.3 reactor’s storage pool in autumn this year, ahead of those of other damaged reactors. FUKUSHIMA, Japan — As the Fukushima Daiichi nuclear disaster unfolded in March 2011, a hydrogen explosion ripped through the No. 3 reactor unit. Nearly seven years on, steel framing and other debris still litter the spent fuel pool, along with 566 fuel rods. The painstaking process of removing the rods is expected to begin sometime in the fiscal year that starts in April. The fuel extraction will be a first for reactor Nos. 1-3 at the Tokyo Electric Power Co. Holdings facility, which was crippled by the earthquake and tsunami that hit northeastern Japan. On Feb. 8, reporters from The Nikkei were allowed into the No. 3 building to get a sense of the work that awaits. A 20-minute bus ride from the town of Tomioka took us to Fukushima Daiichi. After donning masks and protective clothing, we walked toward Unit 3. An elevator slowly lifted us to the top floor of the building, about 36 meters up. There, a crane for moving the spent rods stood ready, wrapped in plastic sheeting. We peered down into the pool but could not see the fuel, which lies under 4 to 5 meters of water. Large slabs of rubble that fell into the pool have been removed, but smaller pieces remain. Other decontamination work is proceeding gradually. Radiation on the top floor was measured as high as 2,000 millisieverts per hour in the disaster’s immediate aftermath, but now it is less than 1 millisievert. Still, caution is a must. Near the pool, our dosimeters displayed relatively high readings of up to 0.7 of a millisievert per hour. “The reading has climbed, so let’s leave for now,” a Tepco supervisor said. As we moved on, we frequently checked to ensure our exposure would not exceed 0.1 of a millisievert a day. Spent fuel has been removed from reactor No. 4, which was not operating when the tsunami hit the plant. But the job will be a challenge at the meltdown-stricken Unit 3. The rods and rubble will be extracted with heavy equipment operated remotely, from a separate administrative building. While it normally takes about two weeks to remove spent fuel, Tepco intends to proceed carefully over the course of two years.